Don't you wish that your phone calls and text messages were absolutely free? 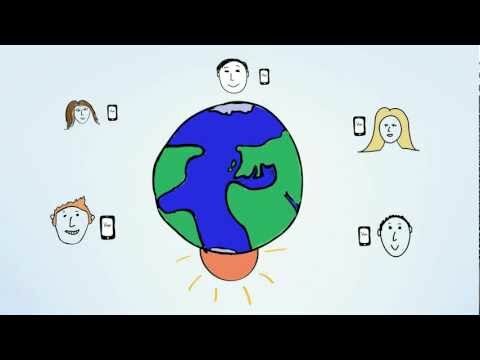 With Voypi you can call or text other Voypi users anywhere in the world absolutely free. No ads. No catch. Voypi is super easy to use. It works with your phone's contact list so you won't need to change anything in the way you call or text friends. Voypi is always on (just like your phone) so you are always connected and it won't drain your phone's battery. Free. Easy. • Voypi is ABSOLUTELY FREE. Unlimited calls and texts to your Voypi friends. Anywhere in the world. Any mobile carrier. No hidden fees. No ads. No tricks. • Voypi is SUPER EASY TO USE. In your existing address book find friends who already use Voypi. Tap Voypi to call or text them for free. Want to invite other friends to Voypi? Easy! Just go to their contact information, tap the Invite button to send them an invite, then call and text them for free! • GREAT SOUND QUALITY. As long as your phone has a data connection (wifi or 3G) you’ll hear your friends loud and clear. Anywhere in the world. Voypi uses a high quality sip stack that allows hi quality voip calls. • Voypi is ALWAYS ON (just like your phone). Voypi uses push notification so you won’t have to log-in or to be on line to receive calls or texts. • Voypi WORKS WITH YOUR ADDRESS BOOK so you can call, text and invite people to Voypi directly from it. No need to create an account with a special user name. No need to search for friends on a database. Easy! • Android 2.2 or higher & iPhone, iPad, iPod touch ready, BlackBerry coming soon! So give it a try and invite others to join Voypi. Remember - the more Voypi friends you have, the more you can talk and text for free. May your phone be free. Submitted by JoJeff on Mon, 08/08/2011 - 11:33.